bicycles and motorbikes. Their main job is to tend their own temples. 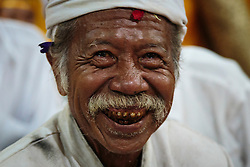 Pedanda, the high priests, are very splendid characters, who officiate at the most important ceremonies.